The Champagne Ardenne Vinegar is obtained from the lees sediment, formed during the fermentation and aging process, and collected during the "clarification process" of Champagne wine from Champagne-Ardenne region. This lees is full of flavor and gives all the character to this vinegar. 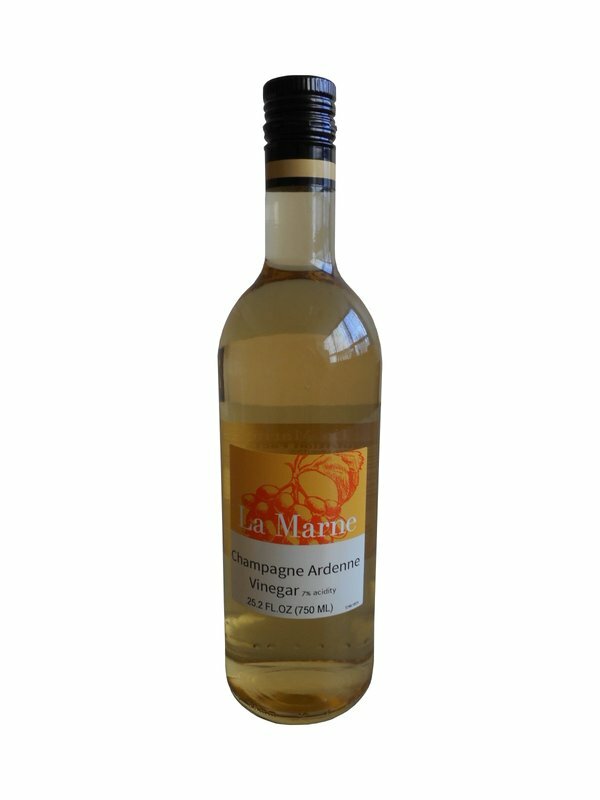 La Marne Champagne Ardenne vinegar is produced from the best raw materials. It is a light-colored and delicately flavored vinegar. This vinegar is characteristically light, crisp and acidic. Champagne vinegar is the perfect vinegar for recipes where you want a hint of acidity and great flavor. It is used for deglazing, any seasoning type, vinaigrette, and sauce.